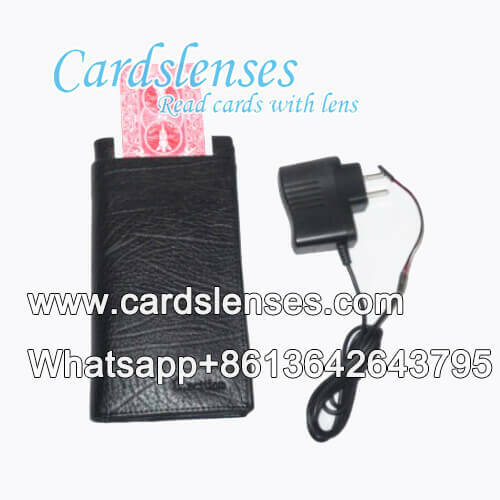 We have playing cards exchange wallet on sale. Any of wallet brands can be processed into wallet playing cards exchanger. Inside the wallet, there is a special made secret place to hide the playing cards you want. 3 playing cards can be hidden inside. Once you put the poker cards near the entrance of this secret place, the playing cards will be pulled inside and at the same time, the poker cards you want to exchange will be pushed out. The whole course is automatically. The exchanging course is no more than 1 second. Really easy to use.